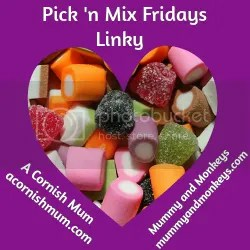 The linky #PickNMix is run by myself and The Lovely Stevie at A Cornish Mum. Any post on any theme is welcome, old or new. My favourite post from last week was A letter to my social life by Naptime Natter. One I can relate to having had Kyle young. Go and check it out. 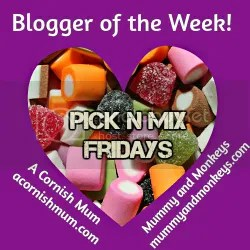 Link up, make sure you comment on the post before yours and use the #Picknmix. "Why it’s ok for it to be just us two"